Mana Mana is located in East Coast Parkway. 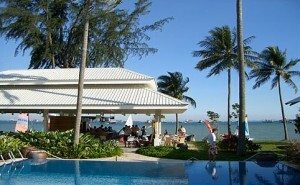 It is a beach club that presents water sports for beginners and amateurs. They offer water sports equipment, dining and bars. You can avail of their training pool and storage space for sails and windsurfing boards. The admission is free. During weekdays, they are open from 10am to 11pm. During weekends, they are open from 9am to 12midnight. Wild Wild Wet offers a unique experience. It is located in Downtown East 1 Pasir Ris Close. They are open every Monday, Wednesday-Friday (1pm to 7pm) and Saturday-Sunday & Public Holidays (10am to 7pm). Admission fee is S$19 for adults, S$14 for kids and S$60 for family package. 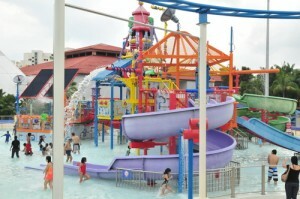 Wave House Sentosa is located in Siloso Beach Walk. It offers wave-riding experience for surfing aficionados out there. Admission is free but if you choose to use their wave rides, you are charged S$30-S$35, FlowBarrel is costs S$45 and FlowRider costs S$40. They are open from 10am to 11pm daily.